Is It Healing Or Hindering? The fact that most horse-owners expect their equine companions to perform as athletes, as well as being their beloved friends, leads to much time and effort being spent attempting to diagnose and treat the considerable spectrum of horse diseases which arise. 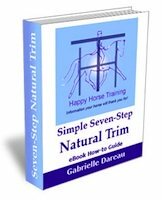 We worry over whether our horses have Navicular disease, and live in fear of any form of colic. We invest particularly intense emotion in our horses' health, and are often only too happy to let someone else shoulder the heavy responsibility - usually the vet or the farrier. Most people involved with horses understand the concept that prevention is better than cure, but do they actually put it into practice? Prevention, when it comes to horse diseases, surely involves providing a lifestyle as close to the wild horses' lifestyle as is possible, within certain inescapable limits. How come then, so many horses are stuck in a box in solitary confinement 24/7? How come they are often fed an unnatural high cereal diet and shod with iron which restricts the healthy function of their hooves? 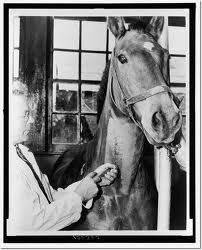 How come most horses are exposed to vaccinations every year, and synthetic drugs at every possible occasion? 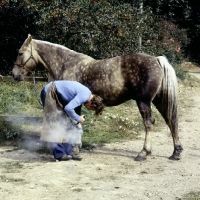 Since wild horses suffer from fewer illnesses than domestic horses, and less often, and yet (except for rare exceptions) they are never in boxes, eating cereals, shod or having foreign chemicals injected into their blood stream, it surely doesn't take a genius to work out that our conventional methods of health-care are not solving our problems. In fact they create many more, as well as big bills and a lot of heartache. Why do we give ourselves such a lot of trouble, when the solution is apparently so simple? Tradition has a very powerful hold over society because we depend on the decisions our predecessors have made. Fair enough, but when it comes to a time when we have a greater perspective i.e. we know now how wild horses live, and we have a more profound understanding of biological systems, then the time has come for us to change our practice. 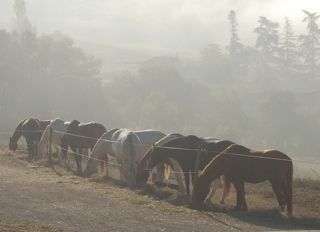 Convenience is also particularly convincing when we are making our mind up how to manage our horses. Conventional methods are perceived to be more practical, but in fact, the 'natural' system we are invoking is remarkably convenient once it is up and running. 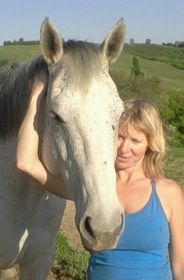 For example, often due to money constraints only two of us have been able to look after and train nearly twenty horses. Hard work, but possible. 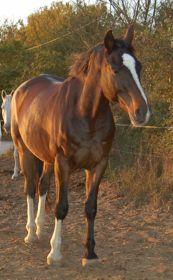 As for horse diseases we heal every complaint ourselves and have had healthy, functional horses for years. The most powerful motivator which underlies most horse-owners' attitude to their horses' health, is the responsibility factor. Being ill is scary and we want to set up guarantees and insurance, we want to systematize and control. We want to be able to rely on someone. Unfortunately this fear is at the root of our impatience and ignorance when it comes to horse diseases. In fact all of the above reasons are essentially fear motivated. Living systems have a phenomenal power to realign and rebalance themselves, they have been evolving for longer than we can conceive of after all. Most 'horse diseases' are labels for a range of symptoms which occur because of a series of health imbalances which may have been developing for years before we become aware of them. Yet we want them fixed tomorrow. 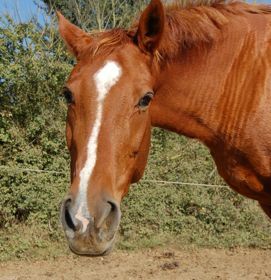 This impatience leads to invasive techniques whose main achievement seems to be shutting down the horse's own healing system. 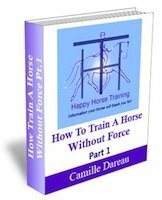 This opinion is not based on idealism, but on many experiences of healing horse, dogs, people and other animals, by supporting their healing systems, not attacking or suppressing them. 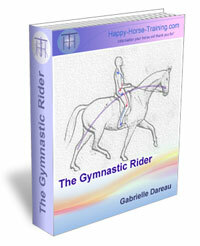 All of our horses are devoting some of their energy to healing themselves most of the time. Sometimes it might be passing injuries or illnesses, which interestingly are rare, and are usually related in some way to their 'life healing' which concerns whatever issues they choose to deal with in this lifetime. Some of these horses have been dealing with well known horse diseases, syndromes and life altering injuries but it is perhaps sadder to consider that many horses do not have a health label attached to their problems, although they would suffer less if they did. Some are described as a lazy horse or a stubborn horse when, in the light of time and understanding, health issues would be seen to be at the root of their difficulties in complying with their riders from the start. Labels or judgments makes no real difference, in the end forgiveness is the only doorway to the truth and the answers to all these problems. These stories demonstrate our health and healing philosophy in action, and hopefully inspire faith and hope in people for their own horses stories. Incidentally, we take the same attitude to our own health, and there are all the same issues when it comes to conventional medicine for human beings. It has been proven statistically that when hospitals have had to shut down, the death rate in the vicinity goes down! There are many highly gifted pioneers of 'right-minded' medicine which believes in supporting our own organism's phenomenal intelligence. For example: Deepak Chopra.